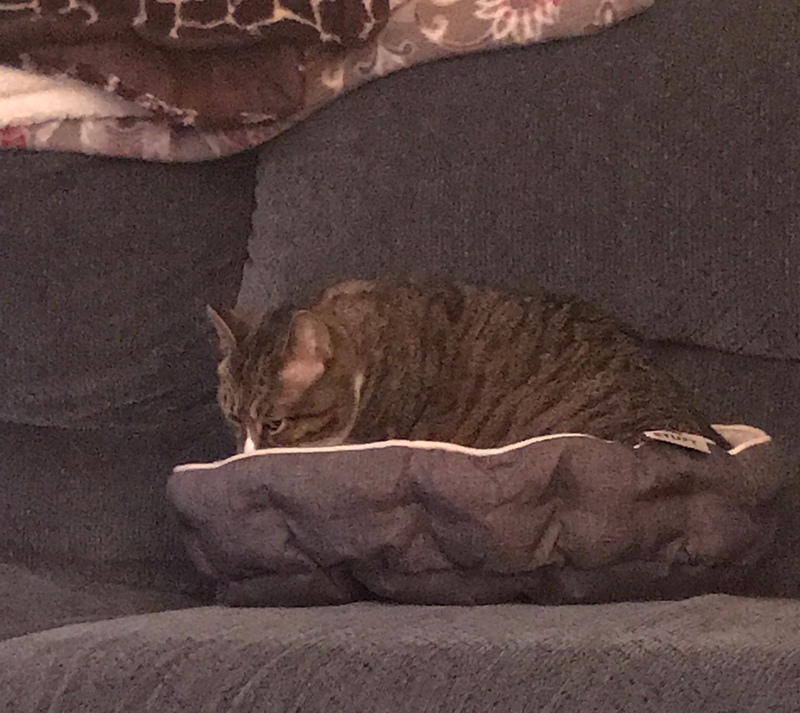 My terrific daughter Elisabeth and her sensational significant George Three thought they were going there playful rescue cat Miss Ava a solid by purchasing her a new cat bed. That’s the new bed to the right. That’s Miss Ava’s favorite blanket, well, underneath her. I suggested that maybe they stow away the blanket for a bit until the cat takes to the bed. It worked! For a few minutes at least, Elisabeth reports. ← So what would happen if Pooh really needed to save Christopher Robin? You know it, cat lover. Good Morning Mark. This slice of your life reminds me of the big bulky igloo doghouse that I hauled about on every move for many years and then one morning it occurred to me that years had passed and the beloved dog had never once spent one night in it. In fact I had never seen him in it at all. A most excellent day to you Mark. We love our pets and think for them, too, JoHanna! Have a lovely day. Terrific, sensational and significant, Mark! I knew you would like Miss Ava, Ann. You know a lot, Mark! 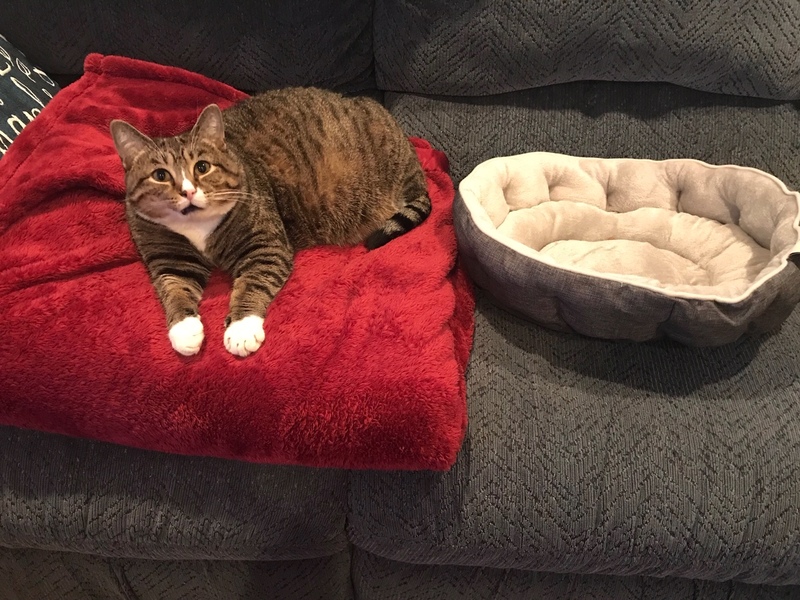 You have to let a cat think it’s HER (or his) idea. Elisabeth and George get a big kick out of her, yes indeed, Nance. I’m sorry for chuckling but Miss Ava does NOT look pleased! She is a funny cat, for sure, MBC.